was great to see so many different projects using that fab sketch. Please have a look at the colours available - you can choose any 6! omg it's me!! Thank you soo much!! I am just about to go out so I will choose when I get back and have more time. 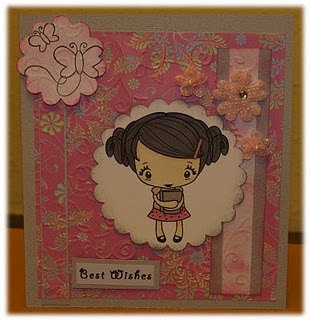 Congrats Cheryl, a lovely card, enjoy your promarkers. Congratulations Cheryl and do enjoy the promarkers, we are all a little jealous. Well done Cheryl, lucky you, I am soooo jealous LOL!! Congratulations Cheryl - enjoy those markers!